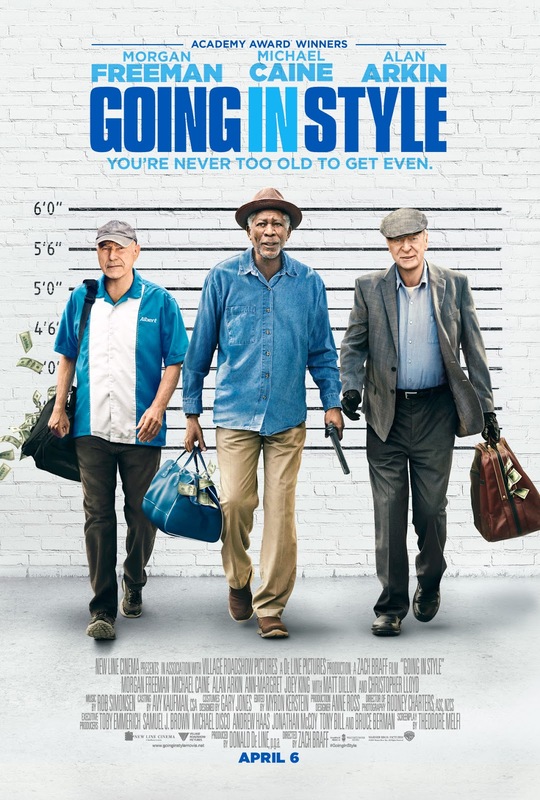 Oscar winners Morgan Freeman, Michael Caine and Alan Arkin team up as lifelong buddies Willie, Joe and Al, who decide to buck retirement and step off the straight-and-narrow for the first time in their lives when their pension fund becomes a corporate casualty. Desperate to pay the bills and come through for their loved ones, the three risk it all by embarking on a daring bid to knock off the very bank that absconded with their money. The film also stars Ann-Margret as Annie, a grocery cashier who’s been checking Al out in more ways than one. Joey King stars as Joe’s whip-smart granddaughter, Brooklyn; Matt Dillon as FBI Agent Hamer; and Christopher Lloyd as the guys’ lodge buddy, Milton. John Ortiz stars as Jesus, a man of unspecified credentials who agrees to show the guys the ropes, and Peter Serafinowicz as Joe’s former son-in-law, Murphy, whose pot clinic connections may finally prove useful. "Going in Style" is scheduled for release across the Philippines beginning April 6, 2017 and will be distributed by Warner Bros. Pictures, a Warner Bros. Entertainment Company, and in select territories by Village Roadshow Pictures.